In an attempt to decrease theft of Peterbilt trucks, Peterbilt Motors Co. is now offering a new system that requires drivers to enter a password to start the truck. At Progressive Truck School, we’re excited to see that new technology is helping to decrease theft in our industry. Truckers enter the password into a 5-inch screen on the instrument panel, within the driver information center. After the code is entered, the engine must be started within six minutes, or the code will need to be re-entered. To ensure that drivers won’t be locked out of their system, passwords can be changed and the Peterbilt service department can activate or deactivate the system. The system is available on Models 579 and 567 equipped with Paccar MX-13 Engines. The anti-theft system is now available for order. Read the a release below from the Professional Truck Driver’s Institute, issued on September 22, 2014. Gina Buda, President of Progressive Truck Driving School, is one of the featured contributors for this release from PTDI. Progressive Truck School is being re-certified for it’s PTDI-certified program. Alexandria, Virginia — With the recent passage of the Workforce Innovation and Opportunity Act (WIOA), PTDI checked in with programs across the U.S. and Canada that received PTDI course recertification in August about how funding initiatives might help address the increasing driver shortage. Industry leaders expect WIOA will offer increased funding for entry-level driver training—a definite need in the industry, as many students in truck driver-training programs rely on loans and grants for their education. The programs that recently received PTDI course recertification are A. Duie Pyle Truck Driving Academy, West Chester, Penn. ; All-State Career School, West Mifflin, Penn. ; Kim Richardson Transportation Specialists Inc., Caledonia, Ontario; Ontario Truck Training Academy, at two locations in Oshawa and Peterborough, Ontario; and Progressive Truck Driving School, Inc., at three locations in Chicago, Cicero, and Lansing, Ill.
PTDI is a national, nonprofit organization established for the twofold purpose of developing uniform industry skill, curriculum, and certification standards for entry-level truck driver training and motor carrier driver finishing programs, and certifying entry-level truck driver training courses at public and private schools and driver finishing programs at carriers for compliance with PTDI standards. PTDI is based in Alexandria, Virginia. Contact Progressive Truck Driving School at 773.736.5522 to discuss our PTDI-certified training program. September 14-20 is when America takes the time to honor all professional truck drivers for their hard work and commitment in tackling one of our economy’s most demanding and important jobs. These 3.2 million professional men and women not only deliver our goods safely, securely and on time, they also keep our highways safe. We’re proud of all of our 50,000+ graduates. It’s a great time to be a driver! To learn about how you can become part of this high-demand industry, contact Progressive Truck School at 773.736.5522.
https://cdltruck.com/wp-content/uploads/2013/04/progressive-barbara-promo-image-1-e1403630081665.jpg 450 600 Lucy Kokor https://cdltruck.com/wp-content/uploads/2014/08/Progressive-Truck-School-Blue-Mid.png Lucy Kokor2014-09-19 23:13:132014-10-28 16:26:22Happy National Truck Driver Appreciation Week! 1. Does the school offer courses certified by the Professional Truck Drivers Institute (PTDI)? Progressive Truck Driving School meets or exceeds the standards required by the Secretary of State of Illinois and also offers a course certified by the Professional Truck Driving Institute, PTDI. 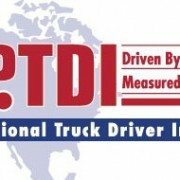 PTDI is a non-profit dedicated to ensuring a high-level or training standards, safety, and driver professionalism in the trucking industry. PTDI develops a uniform skill performance curriculum as well as certification standards – since 1989 their certification is the gold-standard for quality driving curriculum. 2. Does the school offer job placement assistance? So you’ve completed you coursework and on-the-road training, now what? It’s time to find a job at a great company. Progressive Truck Driving School not only teaches students how to find a job in the trucking industry and what employers are looking for, but also assist students in getting placed in top-companies. Some of the companies we place students in include Schneider National, Swift, Werner Enterprises, FedEx, Roehl Transport, Inc. and Con-Way Freight. We not only ensure that you’re well-trained, but also provide assistance in job placement. 3. Does the school offer top-of-the-line equipment for student training? On-the-road training is an extremely important part of learning to drive a truck. 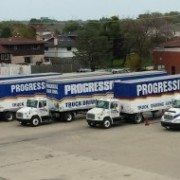 At Progressive Truck School, our fleet of training vehicles includes late model conventional and cab-over tractors, day cabs and sleepers with single and double axles and various transmissions, as well as various brands of vehicles: we offer all-around training with industry-standard vehicles. We also offer our training in an actual trucking terminal. We provide one of the largest training parking lots in the Chicago-land area as well as training on public streets and highways. Not only do you learn in a safe training environment, but also gain real-life experience similar to what you’ll find once you graduate. 4. Does the school hire top-tier trainers and instructors? Your instructors will have a direct impact on the success of your training. At Progressive Truck School, we not only ensure that our instructors have a proper background check, state credentials, and education, but also that they have significant training experience. Progressive’s instructors must complete a specialized training program, which trains them on how to train and prepare new drivers for a future in trucking. All Progressive instructors must participate in a continuous education program provided by the Commercial Vehicle Training Association (CVTA). 5. Does the school have a reputation for successfully graduating students? You want to make sure that you’re training with an accredited institution that has been an established trainer in the trucking industry for a long time. Progressive Truck School has been training drivers for over 40 years! We’ve helped over 50,000 students graduate with their Commercial Drivers License. Contact us to discuss how you can join a fast-growing industry through training with Progressive Truck School! Call 773.736.5522 to speak with an admissions adviser today! Tony Justice likes to sum up his life in seven words: God, Family, America, Country Music, NASCAR, and Trucking. Tony, an East Tennessee man via California and Kentucky, lives the trucking life and incorporates his trucking lifestyle into his music. A singer-songwriter who is chasing his dream of having a No. 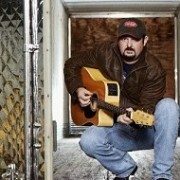 1 hit country music song, Tony draws inspiration from his life on the road. According to Tony’s Facebook Page, one of the benefits to driving over the road is the endless hours to write, and the highway provides endless inspirations to write about. Today, Tony is driving his Peterbilt truck over the road, a trade handed down to him by his father. Tony takes a lot of pride in being a second generation driver. Tony has just completed his third album titled “On the Road”, written by Kenny Chesney, Kim Williams, and Randy Bodreaux.. You can sample all thirteen songs on the album at reverbnation.com or through Tony Justice Facebook.